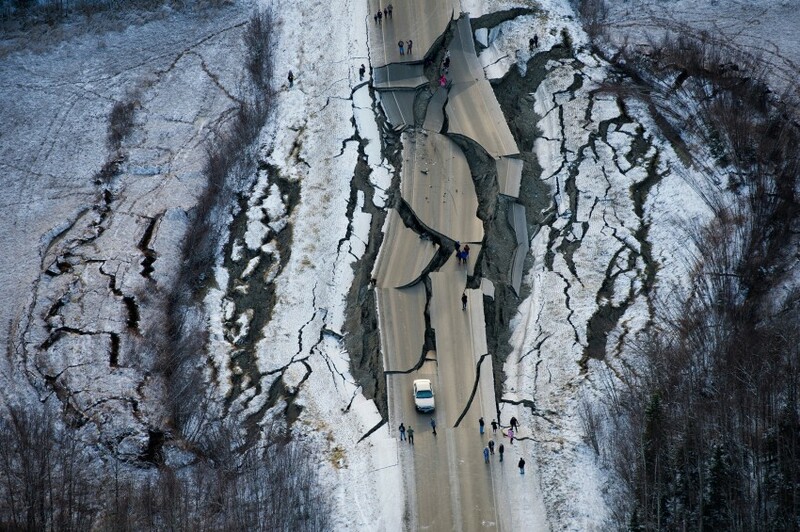 Vine Road, near Wasilla, Alaska, was heavily damaged by a magnitude 7.0 earthquake on November 30, 2018. 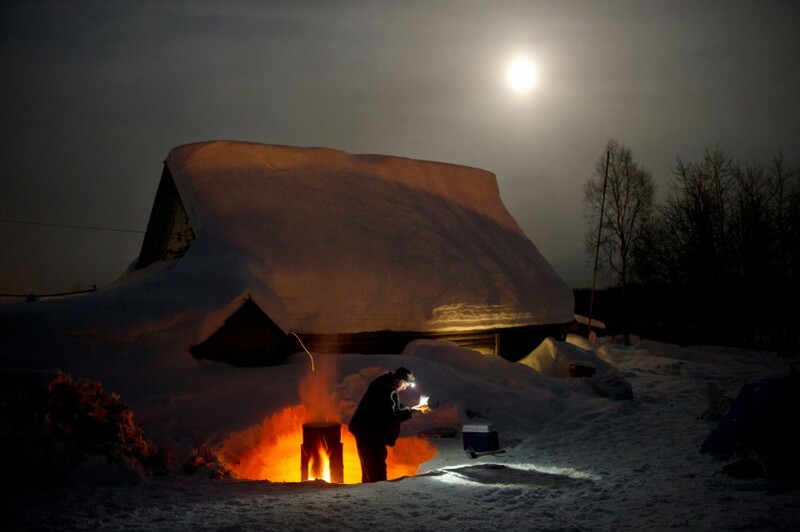 Musher Bill Pinkham collects hot water during his stop in Takotna, Alaska, during the Iditarod Trail Sled Dog Race on on Wednesday, March 7, 2012. Felix Wongittilin holds a walrus heart in the entry to his Savoonga home on April 19, 2017. Walrus meat, blubber and heart are all foods that many in the village rely on. Jason Winters, 11, center, and Tristin Winters, 10, right, wait for the grand parade that concludes a 4H pig competition in the farm display building at the Alaska State Fair on August 28, 2018. Justus Bohart, 3, of Seward, talks with Jeremy Maddamma at The Dome on March 23, 2018. Boharts mother, Rhonda Bohart, said she likes to bring Justus to events where he can meet with active amputees. 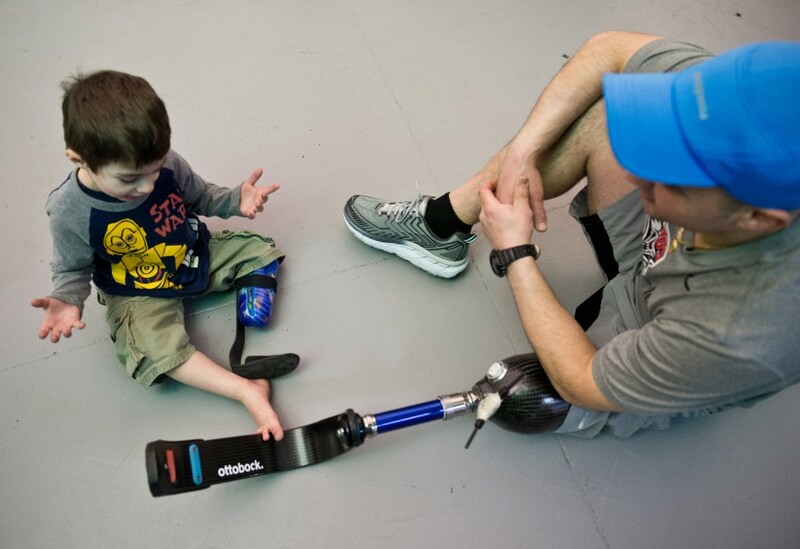 Prosthetics manufacturer Ottobock hosted a clinic at The Dome on March 23, 2018, to allow amputeesto try prosthetics designed for running and speak with company clinicians and technicians. Exhausted from traveling and ill from the side effects of chemotherapy, Kikkan Randall sleeps on her sofa in Penticton, B.C., on October 6, 2018. Randall discovered she had breast cancer just months after winning the United States’ first ever gold medal in cross-country skiing. 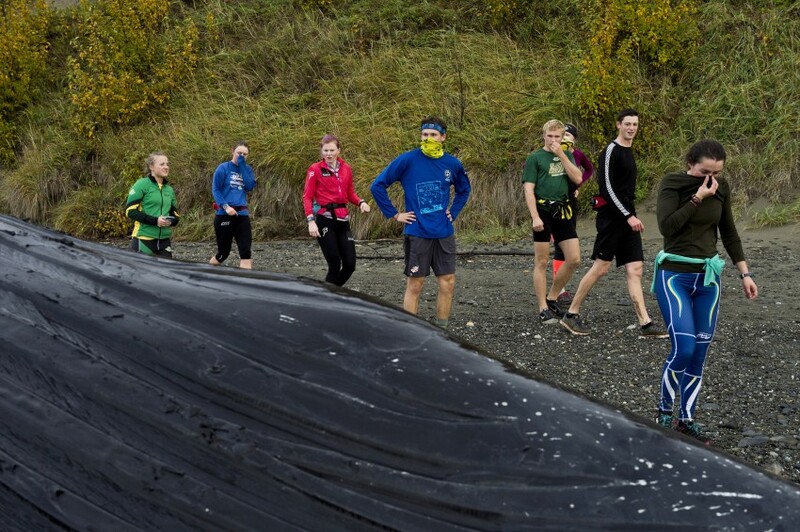 Members of the UAA cross country ski team cover their noses and approach the dead humpback whale that washed ashore in western Anchorage, Alaska, on Monday, September 25, 2017. 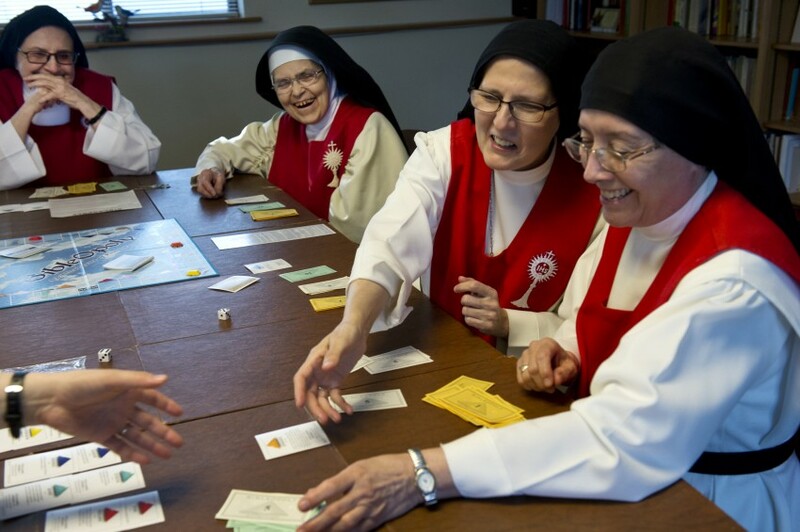 Cloistered nuns of the Sisters of Perpetual Adoration play a board game called Bibleopoly during their recreation time on April 2, 2018, in Anchorage, Alaska. From left are Sister Alicia Valencia, Sister Milagrosa Veytia, Sister Evelia Martinez and Sister Catalina Marcor. 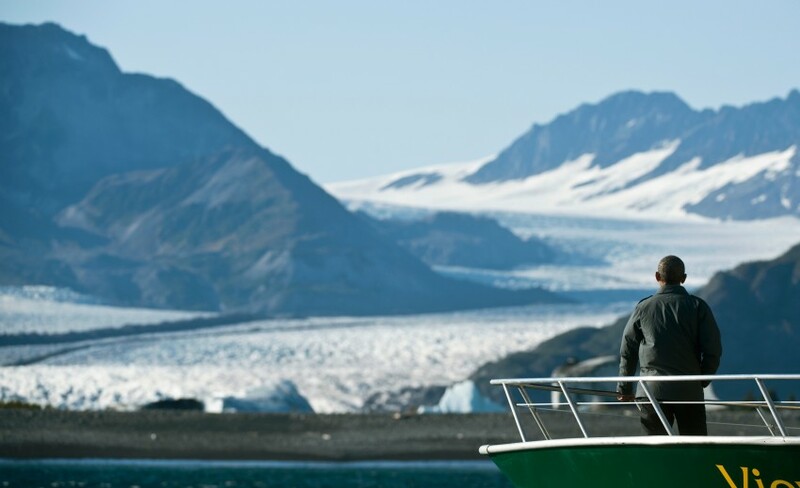 President Barack Obama looks at Bear Glalcier on his tour of Resurrection Bay by boat on Tuesday, September 1, 2015. Obama toured Alaska to promote his climate agenda ahead of the Paris Climate Summit. Raven Vinter pets a few of the rescued sled dogs she cares for at Sled Dog Sanctuary along the Parks Highway near Talkeetna, Alaska, on May 21, 2015. The facility is currently caring for 35 rescued sled dogs. 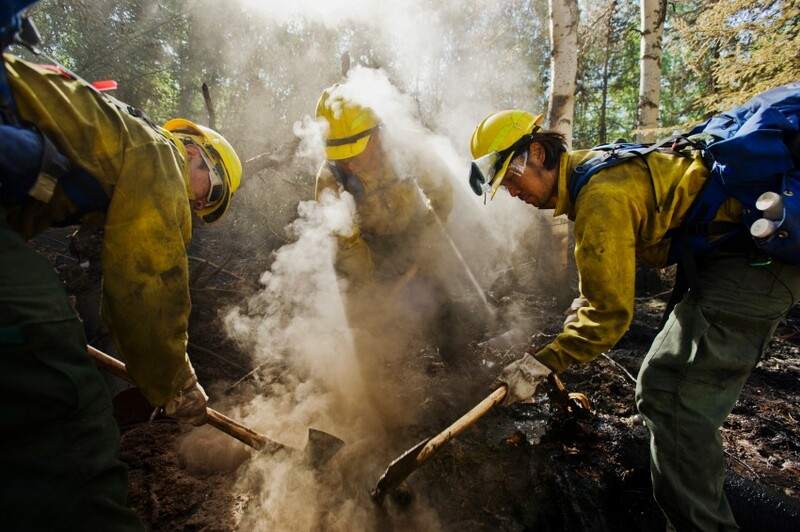 From left, Jason Robles, Vladimir Tamashiro-Loma and Louis Yu, all of the Team Rubicon 3 firefighting crew, work to extinguish a hot spot at the Aggie Creek fire. The Aggie Creek wildland fire, located about 30 miles northwest of Fairbanks, Alaska has burned 31,885 acres as of Thursday, July 16, 2015. 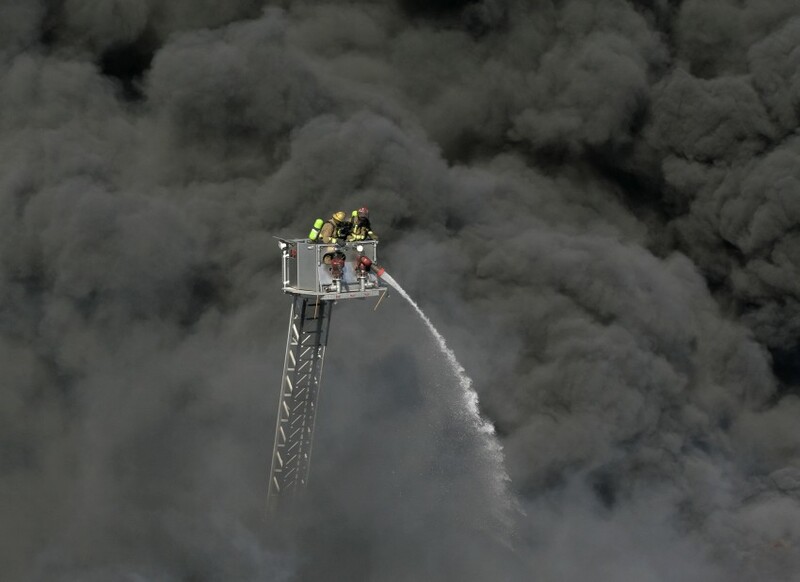 More than 400 firefighters were working to contain it that day. Chief Master Sgt. Takanori Konishi is sprayed by bottles of champagne after stepping off his Japan Air Self Defense Force C-130 aircraft. Airmen from Joint Base Elmendorf-Richardson helped a loadmaster from the Japan Air Self Defense Force celebrate a milestone on Wednesday, June 15, 2016. Konishi achieved 10,000 flight hours on C-130 planes during a training mission Wednesday as part of Red Flag Alaska, a simulated combat exercise going on this week. Konishi, 53, has spent 35 years in the military, 27 of which were on the C-130. 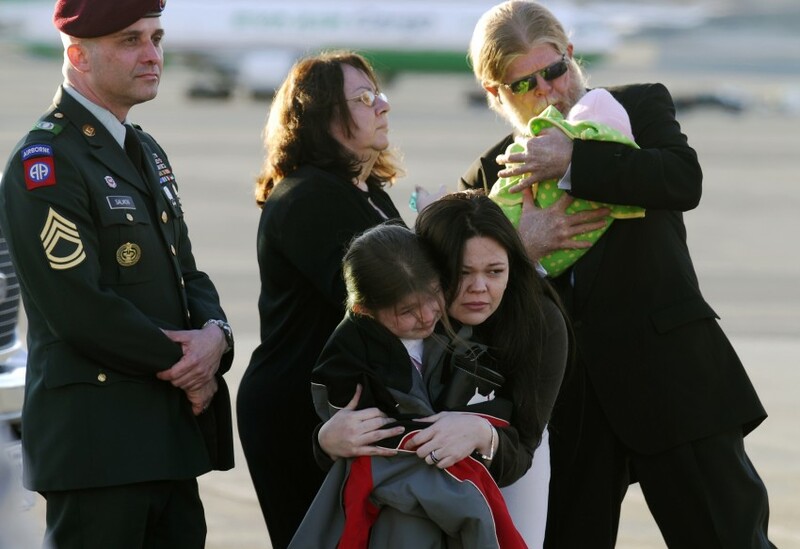 Crystal Becker comforts her daughter Cierra, 7, as they watcher Staff Sgt. Shane Becker’s casket arrive at Ted Stevens Anchorage International Airport. Crystal’s parents Leonor and Michael McGovran hold Crystal’s newborn daughter Cheyenna in back. Casualty assistance officer Sgt. 1st Class Vincent Salmon is at left. Photos for Alcohol & Me video of Barry Hetlet, an Anchorage Police officer who works overnight in Fairview and downtown. 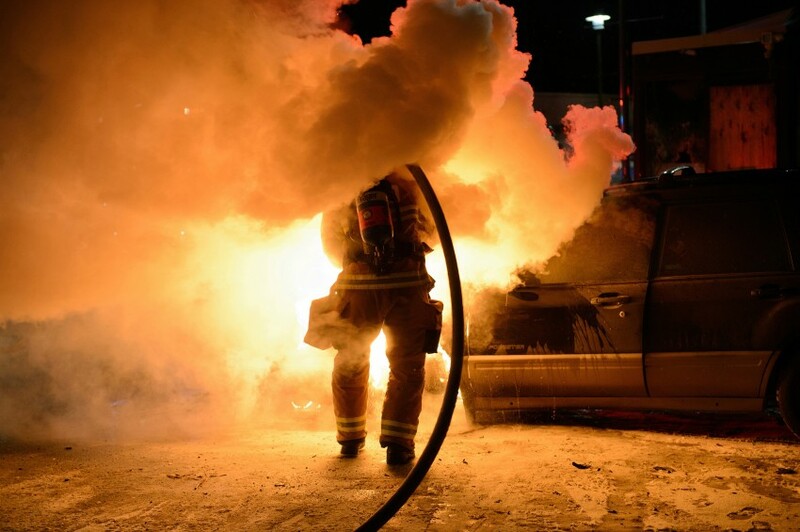 Anchorage firefighter Pat Barnes extinguishes a vehicle fire on Mountain View Drive on December 15, 2017. 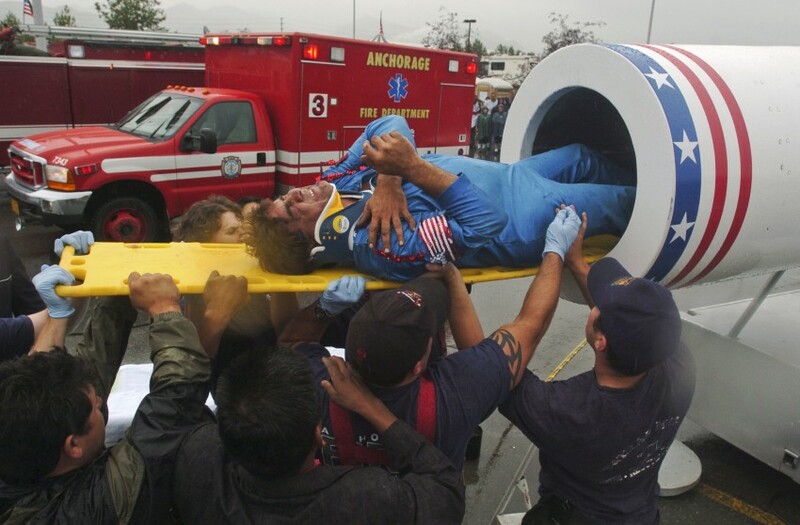 Anchorage firefighters assist Luis Munoz, a human cannonball performer with the Baily Brothers Circus, in July 2004. The cannon, which was supposed to launch him across the parking lot into a net at the conclusion of the show, malfunctioned and Munoz remained stuck inside. Munoz was treated for minor injuries at an Anchorage hospital. In 2011, Steve Vue, a junior at Service High School, had what he thought was a bad chest cold. 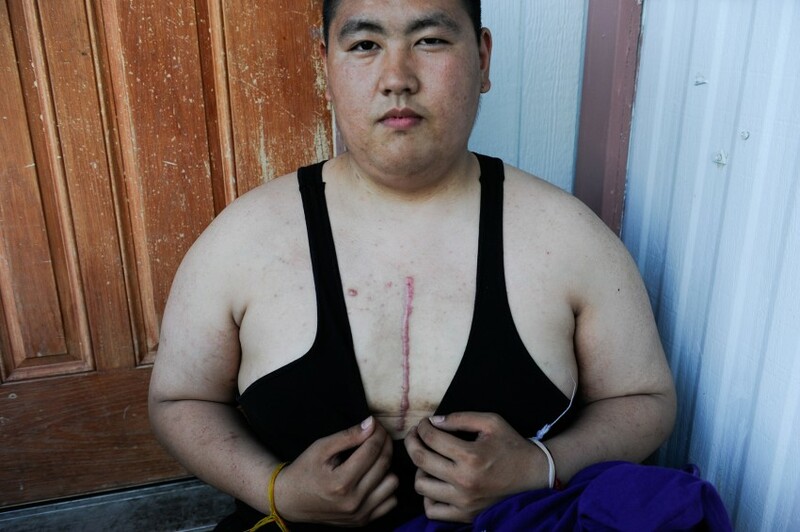 Eventually, doctors discovered a large tumor in his chest. He underwent chemotherapy and surgery to remove it. 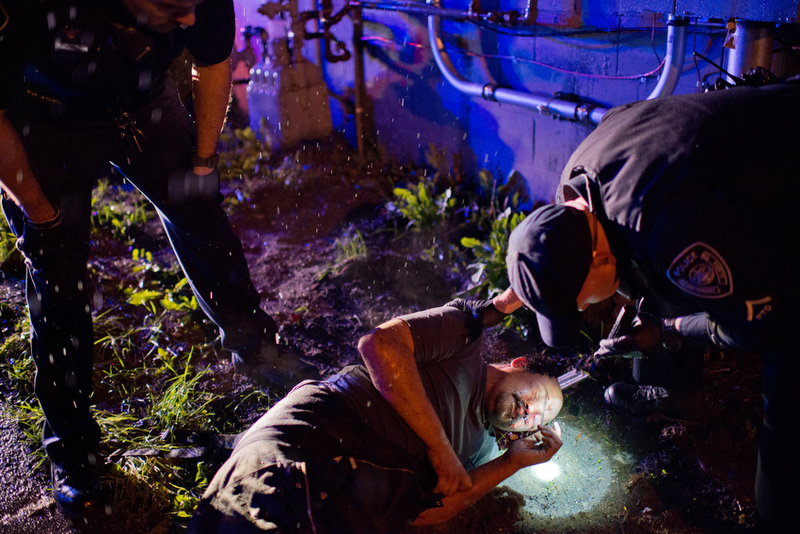 See much more of Steve’s story in Multimedia. 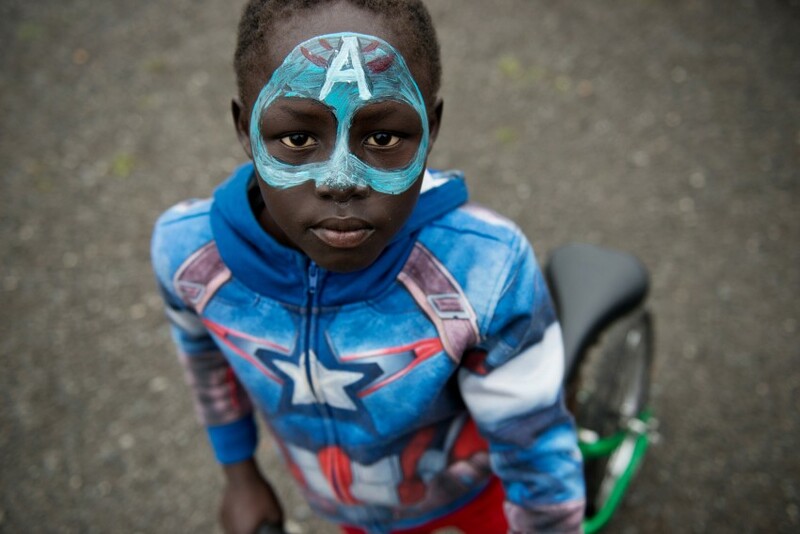 Kiir Cheng, 10, had Captain America face paint applied at an Anchorage Community Land Trust booth at the Mountain View Farmers Market on September 14, 2017. he Anchorage Community Land Trust is partnering with Catholic Social Services’ Refugee Assistance and Immigration Services (RAIS) program to create an “urban farm” on the lot in the Mountain View neighborhood where many resettled refugee families live. 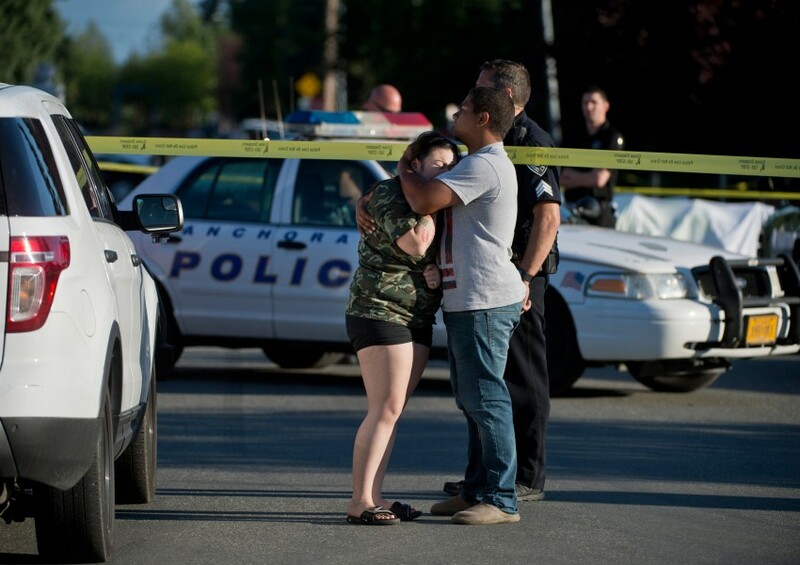 A woman cries as Anchorage Police investigate a suspected homicide on North Bliss Street in Anchorage on July 20, 2018. Police said Raynaldo Khotesouvan, 15, was shot by a 16-year-old. Staff Sgt. Otis Lee watches from the grounds as other Army paratroopers come down onto the Malemute Drop Zone. 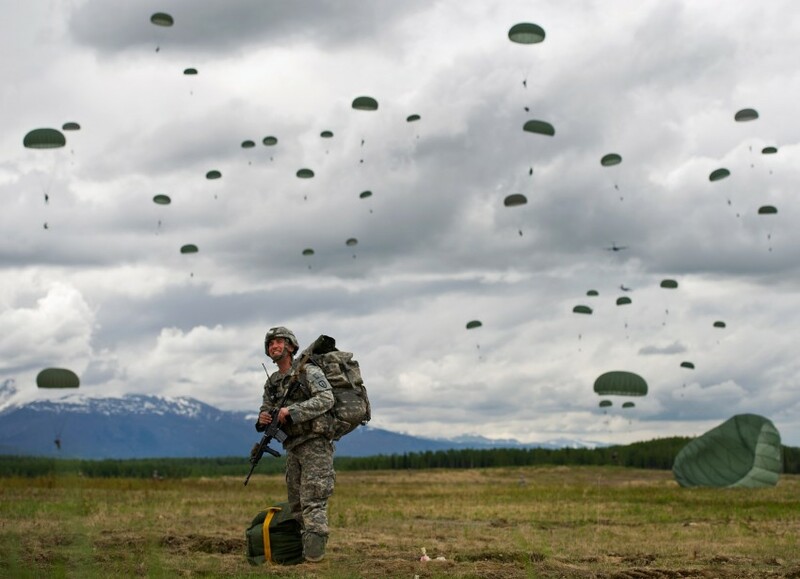 Soldiers from the 4th Brigade Combat Team, 25th Infantry Division (Airborne) conducted a mass tactical training exercise at the Malemute Drop Zone on Joint Base Elmendorf-Richardson on Tuesday, June 4, 2013. About 550 paratroopers jumped from C-17 aircraft during the exercise. 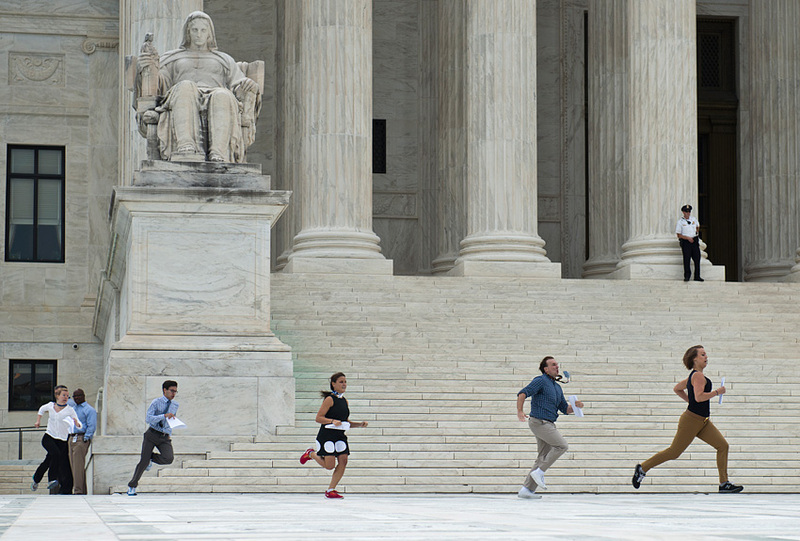 News of the Supreme Court’s ruling affirming the right of gay people to marry is carried from the court to waiting television news teams on the sidewalk outside in Washington, D.C., on June 26, 2015. Police apprehend a suspect following a shooting that injured an Anchorage Police Department officer as well as the suspect at the Merrill Field Inn Thursday morning September 13, 2012. The man was later identified as Jason Barnum and charged with attempted murder. A tsunami victim looks out the window of the Elmendorf C-130 as travels over the island of Sumatara away from Banda Aceh. Twenty-five displaced people were transported by the 517th Airlift Squadron that day. 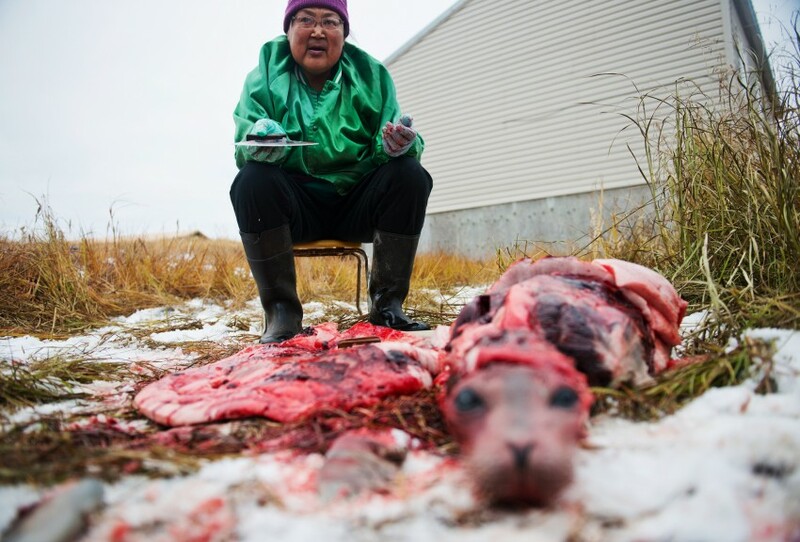 Mildred Kiyutelluk skins a spotted seal outside her Shishmaref, Alaska, home on Wednesday, October 2, 2013. 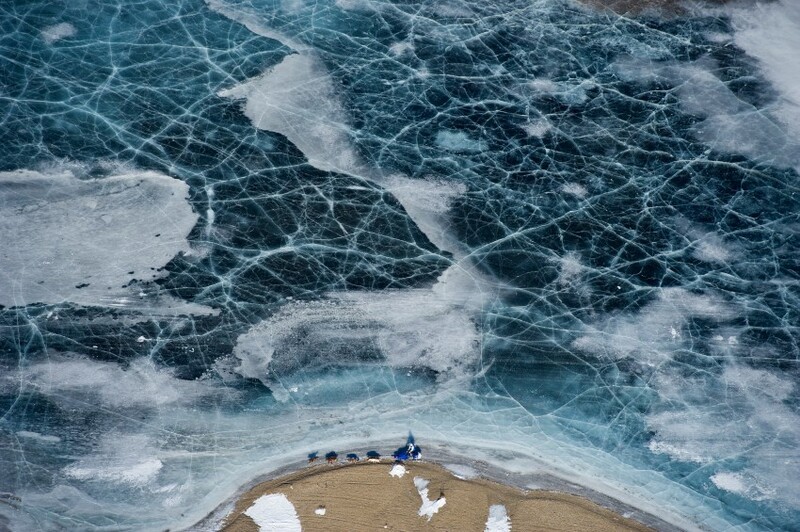 Shishmaref is an Inupiaq Eskimo village on a barrier island in the Chukchi Sea. 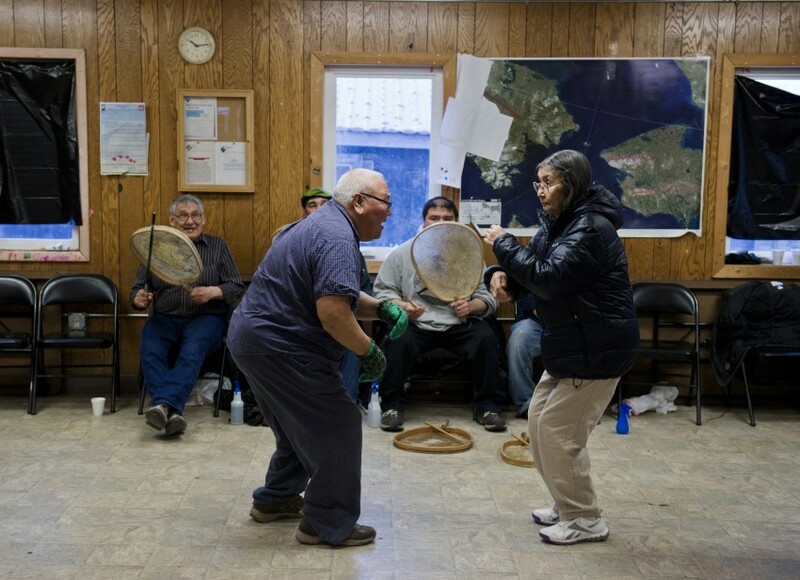 Residents rely on subsistence hunting and fishing. Pauline and Joe Agathluk examine a chum salmon given to them by Andrew Kelly earlier this summer. 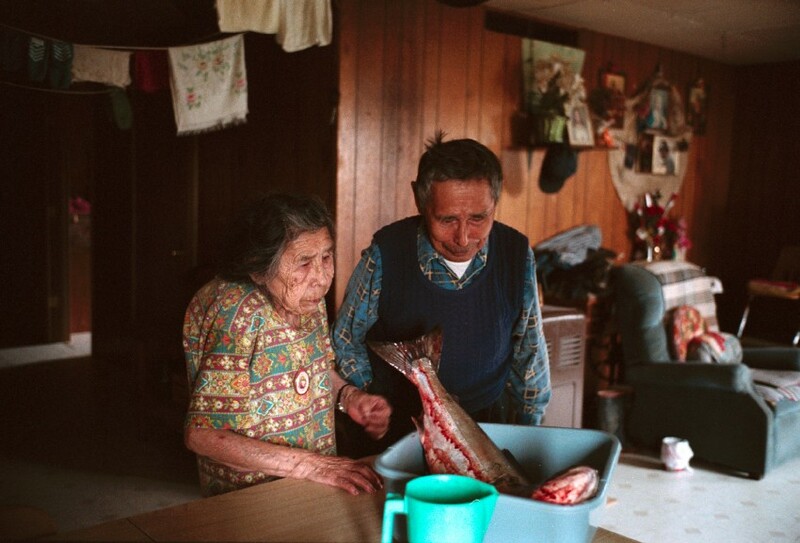 Kelly delivered fish caught in the Alaska Department of Fish and Game test nets to village elders, the only salmon coming into the village at the time. “This is the kind I like, ” Pauline said. Two black bears swat at one another for a brief moment while walking the along Arctic Valley Road not far from the Fort Richarson exit of the Glenn Highway on Wednesday morning, June 30, 2010. 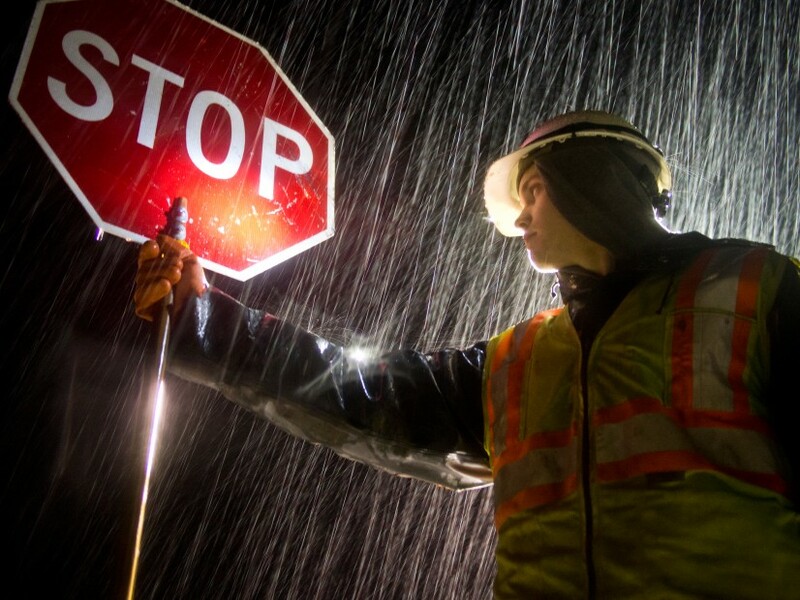 Phillip Skinner directs traffic along the Seward Highway in Seward, Alaska, late at night on Thursday, September 20, 2012. Vehicles were allowed to pass single file through a flooded portion of the road. The high water had stranded at least one vehicle. Ty Lafond says he’s the king of the Fairbanks dumpster divers. Tools, electronics and watches are some of the items he’s found many of over the years, he says. “But you gotta dig deep. 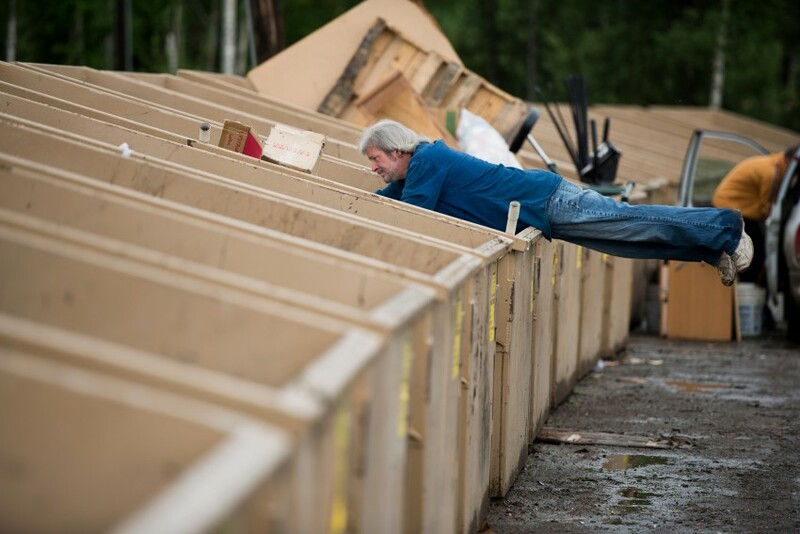 It’s not gonna jump out.” In Fairbanks, several waste transfer sites are popular places for residents hunt for items to reclaim and recycle. Many people drop off and pick up items under pavilions for reusable goods at five of the Fairbanks North Star Borough’s 14 transfer sites. Some people search through the dumpsters as well. Ashley Bashore appeared in court on Thursday, December 8, 2011. Police say Bashore was driving the Hyundai Sante Fe that struck 28-year-old Hubert Tunuchuk in April on the Tudor Road overpass at the New Seward Highway. Police say Bashore was texting immediately before or at the time of collision. 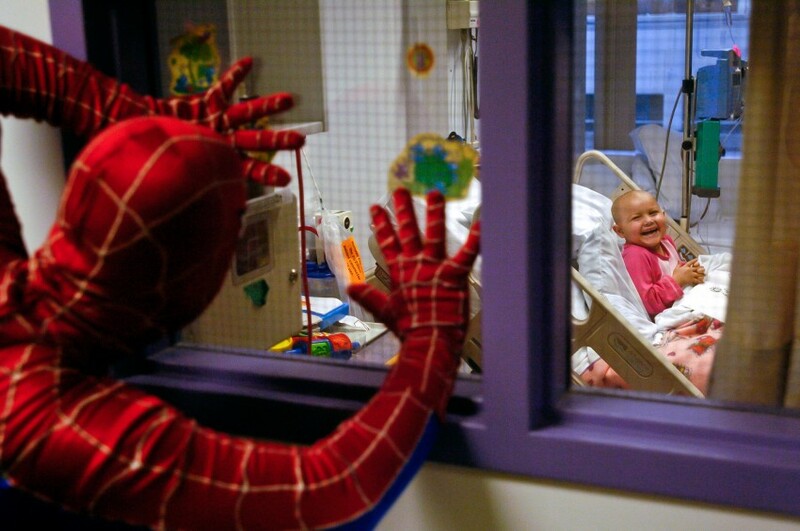 Cheyenne Johnson, 3, giggles as Spider-Man peers through her window at Providence Alaska Medical Center’s Children’s Hospital. Spider-Man, a featured performer of the Moscow State Circus, visited children there October 8, 2004. Johnson was being treated for Acute Lymphoblastic Leukemia. Mitchell Xayapraseuth, center, joins other men in his family in becoming a monk for the funeral ceremony for his great-grandfather. Mitchell said he intends to join the temple for a longer period as repayment for own cancer recovery. “My grandpa did it, my great-grandpa did it, my great-great-grandpa did it, so now it’s coming down to me,” he said. “I don’t want it to stop where I am.” See much more of Mitchell’s story in Multimedia. Phillip Carl dumps water, hauled by his son Abraham, 10, into a bin in the family’s home in Newtok on August 14, 2009. Homes in Newtok do not have indoor plumbing. Residents haul water from a treatment facility. Residents say upgrades in village services are largely unavailable because because erosion requires the village to be relocated. This brown bear was killed in by a vehicle on Gambell Road in Anchorage early Friday, August 22, 2008. 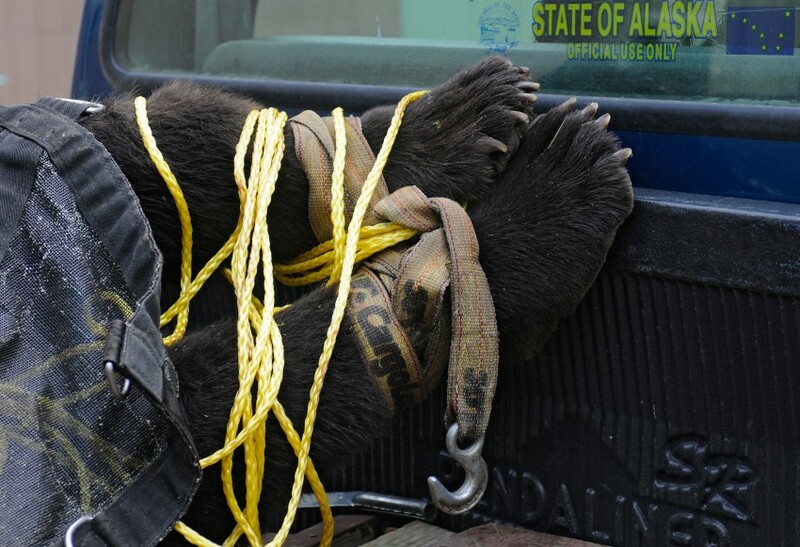 The 15-year-old bear had been the subject of a research by the Alaska Department of Fish and Game and was known as bear 211. Research biologist Sean Farley of ADF&G says spent much of his time in Far North Bicentennial Park, often near Elmore Road. Anchorage firefighters battle a blaze at a condo complex in downtown Anchorage, Alaska, on Tuesday June 6, 2007. Three ladder trucks worked the scene which burned out of control for hours which was fed by strong wind. A woman grieves as Sheldon Moore is taken away from Taku Lake in an ambulance on Saturday afternoon. Anchorage Fire Department says the man was swimming in the 38 degree water when he drowned. 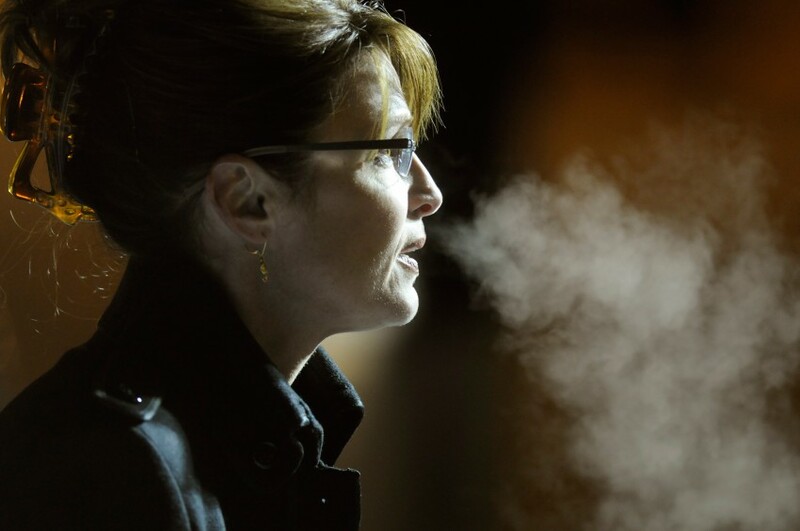 Governor Sarah Palin returns to Anchorage after about 70 days of campaigning for Vice President in 2008. About 250 people turned out to greet her flight when it arrived. Stanley Tom skirts water on walkways made of mats in the village of Newtok on August 14, 2009. Tom says the eroding Ninglick River and melting permafrost are forcing the village to relocate. Members of the Alaska Military Youth Academy are ordered to work out at their barracks. 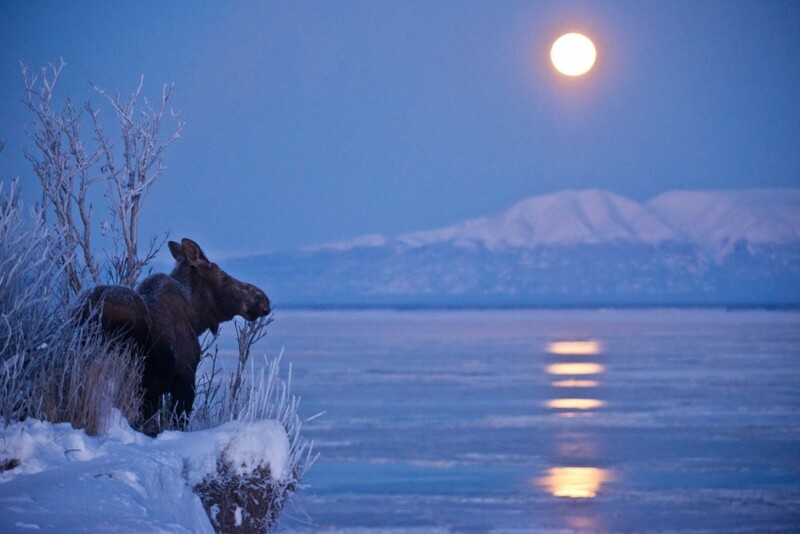 A moose looks out over Cook Inlet from the top of a bluff near Point Woronzof in west Anchorage on Tuesday, December 17, 2013. The full moon sets over Mt. Susitna.